April 21, 2015 (Tony Cartalucci - NEO) For months after the 2014 military coup that ousted Thaksin Shinawatra's sister, Yingluck Shinawatra from office in Southeast Asia's nation of Thailand, the West has attempted to destabilize and undermine the military-led government that has since then worked ceaselessly to uproot the political machine that had granted the Shinawatra's impunity and maintained their grip on power for over a decade. Amid this effort, the West, including both their influential media networks and lobbying firms, is a concerted attack on Thailand's tourism industry. The UK Daily Mail has particularly rolled over for lobbyists in their bid to see Shinawatra returned to power, and has ceaselessly attacked Thailand along any and all fronts with a storm of outrageous propaganda. In regards to Thailand's tourism in particular, the Daily Mail would actually publish an article titled, "Thailand 'one of the most dangerous tourist destinations on Earth': Expat investigation lifts lid on dark side of the Land of Smiles." The book is written by a bitter expat who is empty-handed in terms of facts. 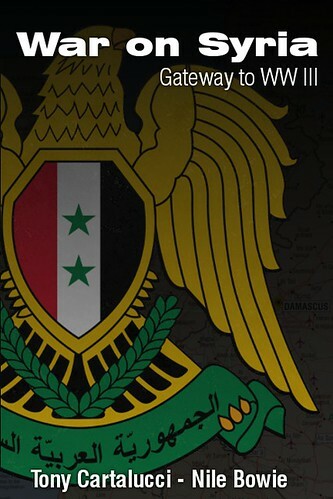 The report merely consists of the daily propaganda produced by Western media networks condensed into a book. Despite the outrageous title of their article, the Daily Mail was only able to cite a double murder of two British tourists, intentionally blown out of proportion by Western networks in their bid to paint Thailand as a dangerous, failed state in the wake of the military coup. 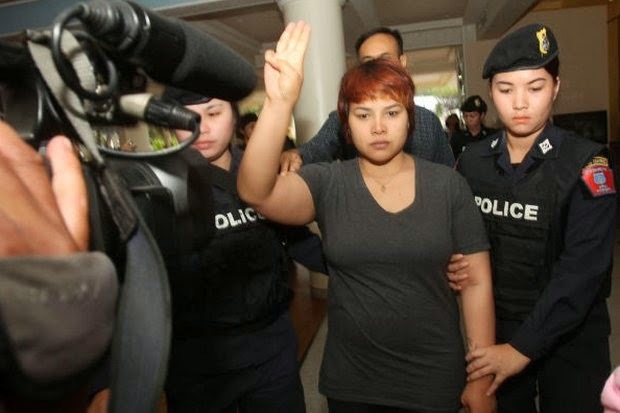 As well as the murder of British backpackers Hannah Witheridge and David Miller in mid-September, there was a bloody military coup in Thailand in May. In fact, not a single shot was fired, no one was hurt, nor even threatened with violence, let alone killed. The military coup in May 2014 unfolded without incident, except for raids across the country in order to disarm and dismantle Shinawatra's armed terrorists who, up until the coup, were killing protesters in the streets - with nearly 30 deaths and over 800 injured. Coincidentally, the Daily Mail's "hard hitting" reportage appeared temporarily on hiatus during that violence, either apologizing for the murder and mayhem, or pretending it wasn't happening at all. And the Daily Mail is not alone. A Western-wide, concerted propaganda campaign had attempted, and then failed, to paint Thailand as a "failed state." The West's failed propaganda campaign and the Thai military's systematic removal of Shinawatra's political machine along with the curbing of the vast Western-backed networks that supported Shinawatra, has led to an increasingly violent chapter in the current Thai political crisis. In early February 2015, two bombs would detonate in the center of Bangkok's shopping district. The bombing occurred on what Shinawatra's supporters call a "Red Sunday,"and shortly after the US State Department made direct, and inappropriate demands that Bangkok return power back to "civilian leadership." 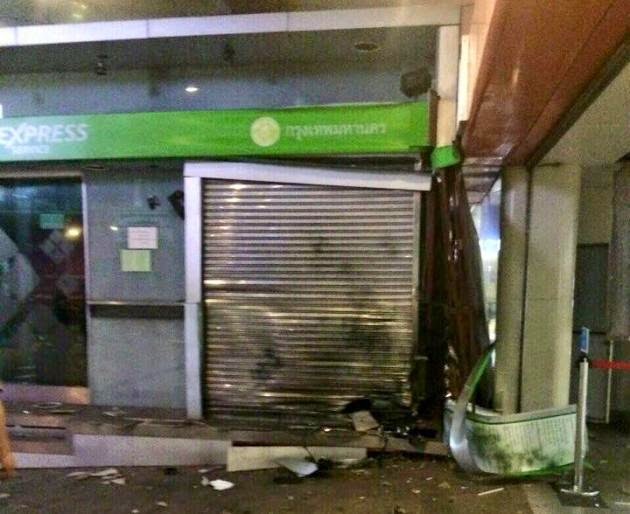 The bombing was clearly meant to send a message to the ruling government that if concessions aren't made regarding Shinawatra's political clique, violence and instability would follow. 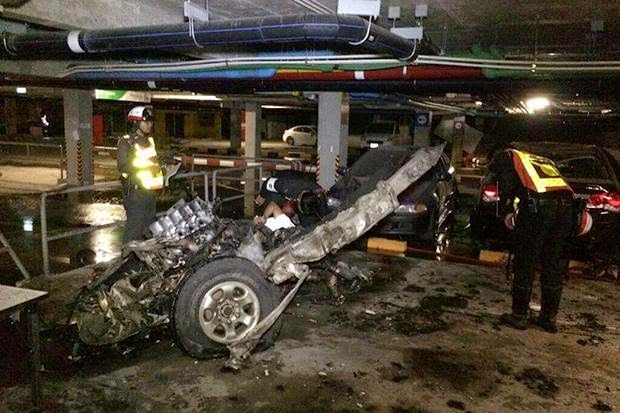 Shortly after, a grenade attack was launched on Thailand's Criminal Court building. The latter attack was linked directly to the Shinawatras. At the beginning of Thailand's "Songkran" holiday, perhaps the largest holiday season of the year, bombs and fires would hit two of Thailand's most popular island destinations, Koh Samui and Phuket. The incidents occurred on April 10, 2015, the 5 year anniversary of political violence triggered by Shinawatra's terrorists in the middle of Bangkok. For those following the West's insidious, spiteful propaganda campaign against Thailand's tourism industry, and following the increasing use of violence by Shinawatra and his backers as the country begins to move on without them, little doubt is left over who was behind the recent attacks. The attacks were meant as the capstone for the West's propaganda campaign, putting fear into tourists with physical violence when lies failed. It was also yet another threat to the current ruling government that if they fail to accommodate the Shinawatras and their Western backers, peace and stability in Thailand will be destroyed. The Shinawatra regime and its Western backers built its legitimacy upon the fiction that it held popular support among Thailand's population, particularly the rural poor. In 2011, during the elections that put Thaksin Shinawatra's sister Yingluck into office, the Shinawatras' political party failed to garner even 35% of all eligible voters. Of those that did vote, the Shinawatras failed to win the popular vote. This is despite a reckless populist election campaign promising everything from free computers, to cheap loans for houses and cars, to rice subsidies offering impossibly high prices to farmers. Image: One of Shinawatra's supporters linked to one of now several bombings in Bangkok and across the country, gives the "Hunger Games" salute, a sign hijacked by fake "pro-democracy" activists seeking Shinawatra's return to power, apparently at any cost. And as the Shinawatra regime teetered in 2013-2014 amid the disastrous fallout of their collapsing rice subsidies, and during unprecedentedly immense street protests, dwarfing the mobs Shinawatra himself would put into the streets in 2009 and 2010 amid armed insurrection, the Western media threatened the prospect of "civil war" in Thailand. The reality however, is that Shinawatra at best had merely 7% of the country's population behind him, with the rest voting for his political party only for handouts. Out of that 7%, virtually no one is willing to take up arms against their fellow Thais. Bombs with such little real support behind the Shinawatras, is a burning bridge to nowhere, and one that will eventually collapse upon itself. Conversely, even among Shinawatra's followers, the Royal Thai Army is well respected and regarded as an important independent institution within the country. This explains why when the military moved to finally oust the Shinawatras in 2014, there was no "civil war." All that the Shinawatras and their Western backers have now is terrorism. However, this terrorism will only serve as a means for the current and subsequent governments to further uproot Shinawatra and his political allies. As the public begins to suffer the consequences of perpetual instability within the country, their tolerance for the Shinawatra's habit of employing street mobs will dwindle, and their calls for the military to take ever more drastic measures to stem this instability will only grow. For those who suspect the bombings may be "false flag" operations, while a remote possibility, it should be noted that before each and every bombing, Shinawatra's own supporters, including those among his political machine's senior leadership, had warned of violence they would employ if their demands - impunity and "elections" they will once again steal - are not met. 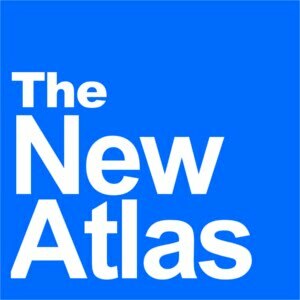 Malaysia, Myanmar, and others across Southeast Asia must understand that when political meddling by the West, particularly the United States and its National Endowment for Democracy (NED), corporate foundations like Open Society, and others fails, they will not simply back off and go home. They will simply take their hegemonic aspirations to the next level, often introducing increased levels of violence to trigger instability, and in addition to a continued and very much concerted propaganda campaign, hope that synergies develop that eventually oust sovereign governments and make way for client regimes to take their place. In Thailand, Thaksin Shinawatra is that client regime of choice. In Myanmar it is Aung San Su Kyi. And in Malaysia it is Anwar Ibrahim. For those in Myanmar that have tasted the steel of Su Kyi's machete wielding "saffron" supporters, this is a reality they already understand. To think that the charade of Western-style democracy ends when sovereign governments outmaneuver and upset this use of "soft-power," is a dangerous miscalculation. When soft-power fails, the West often turns toward a more familiar, older, and more finely honed set of tools - those of terrorism and covert war.